Many of us have experienced the dreaded color change between our initial design and print out. Colors that appear nice and bright on the screen just seem “off” when printed on paper. This is a common frustration for many beginning designers, making us check and double check our color values to verify our sanity. While there are several factors that play a role in the color variation from screen to print out, one of the most dominant is the conversion from RGB to CMYK. 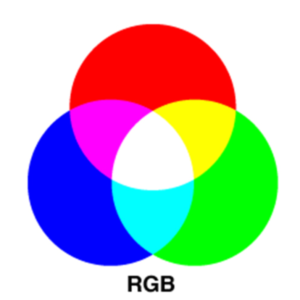 RGB (red, green, and blue) refers to the color system used for displaying colors on a computer screen. 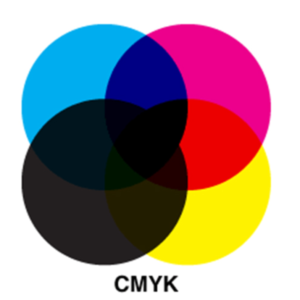 CMYK (cyan, magenta, yellow, and black) is the coloring scheme that printers use. You can see how the different colors models are depicted in the image below. Ink Layering & Overlapping – The pixels that make up your screen image can experience subtle shifts in colors that it can’t find. In this case, the pixels will display the closest value to the original that it can. Saturation & Contrast – Prints don’t provide the same level of saturation and contrast that a monitor can display. This makes prints typically darker and less vibrant than what is shown on a display. The paper material and texture can affect the level of brightness, making a big difference in color results. White-Point Mismatch – This simply refers to the difference in white color you see on paper vs the white color you see on screen. The majority of the time you’ll see a notable difference. 1. One of the first things to check is your monitor’s color calibration settings, as well as any drivers that may be needed to support the display properly. Next, you should confirm that you have the correct drivers installed for your printer as well. Within your printer driver settings, you’ll find controls for fine-tuning the overall appearance of the color output. This may be sufficient, depending on what you’re looking to get. 2. If you are particular about your colors being as accurate as possible, a common solution is to visit your local printing service. Commercial printing companies deal with this issue on a regular basis and will likely provide solutions at an affordable cost. 3. Printers will often come with a Pantone Color Bridge swatch book that matches reference colors as closely as possible to your desired color. This color bridge will show Pantone ink colors to their best match in the CMYK digital printing spectrum. We hope this article was useful in helping you determine any issues in color differences from screen to prints. Whether you’re creating business cards, logo designs, brochures, or whatever else it may be, we wish you the best in your creativity and designs!